Our cajonbox school is starting up some new courses in our NEW cajonbox studios in London, E1 in the Limehouse area (566 Cable street studios). If it is your first class with our cajon school it is £10, thereafter it’s £12 per class if you enrol to the entire course upfront. Hurry! There’s only a few spaces left! PS – NO NEED TO HAVE PREVIOUS EXPERIENCE OR OWN A CAJON TO TRY THIS OUT, WE HAVE SOME AVAILABLE FOR USE IN THE CLASS! 🙂 Limited so let us know asap, first come first serve! Our improvers cajon Class for those who have completed our beginners courses or for people with some previous experience on the cajon. In this cajon class we do a lot of hands on, practical work. By this stage you should be relatively comfortable with playing some basic grooves, and have a good understanding of playing the cajon, hand placement and technique. during these classes we focus on what we have learnt, improve it and put it into context, and all the while we learn more about the cajon, more grooves, tricks, new sounds etc. We will learn more advanced technique, rhythms and learning more about specific genre’s, how to play with other musicians, and general knowledge about the cajon and being a cajon player, as well as playing with other percussionist and cajon ensemble. We also look at add ons/extra’s for the cajon, co ordination, ensemble, improv and playing with music and other musicians. 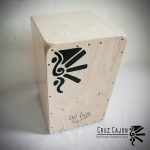 It’s great way to keep playing, have fun making music, become a great cajon player and get together with other cajon lovers, make great new friends and have fun playing the cajon, as we explore more about the cajon and the world of music. You can drop in and join class at any stage, these classes are constant and quite general, more about getting to play every week and learn something new, as opposed to our approach with our beginners courses, which is purposefully structured and intense to cover the most essential and fundamental basic elements of playing the cajon. No need to have a cajon. We have cajons available for hire at £2 per class. Classes start on 24th June and will run evey Tues from 7:30pm till 9pm. Heidi can at times get really busy with shows with her band, and travelling to teach cajon, so there might be the one off week where there will be no class, but generally we aim to have class every week. This year Heidi might go to New York with her band on tour for half of Aug, and for those 2 weeks there will be no class. 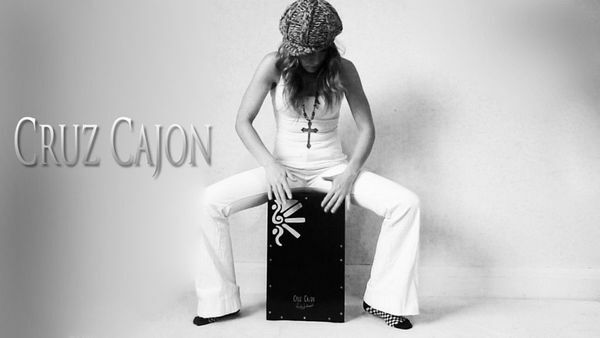 On 1 July there will also be no class when Heidi will be in spain visiting and meeting up with her cajon artesian and some of the best cajon players in Madrid. Some basic previous playing experience necessary. It is ideal if you have done our beginners course. Please see our beginner courses for more info. We have our own high quality, hand crafted Cajons available for sale to Students at a 10% discount! 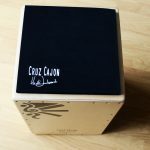 The best cajon you will find in the UK for the best price!